Anyone who knows even a little about motorsports will surely tell you that the country that has the most notable drivers at the various levels in the motorsport activities is the UK. 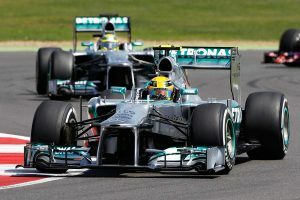 One of the most noted competitions within this sport is the Formula One. Currently, the United Kingdom is proud to be the home of over 160 of internationally recognized Formula One drivers. Among the accolades that the UK deserves in this area is the fact that there has not been just one championship originating from the country but in fact, there have been several. When one looks at the Formula One greats, the list surely includes Lewis Hamilton. Lewis holds the most records for title. Out of all the British drivers today Lewis is the one that has been able to accumulate the most points and holds the record for the most pole positions. If one wants to take a trip back in history and take a look at the first British champion, then we would be going back to 1958 to Mike Hawthorn. Unfortunately, when Hawthorn won his first world championship for the Formula One. Following this, he announced the fact that he was going to retire. Ironically months following this he met his death in a road accident but it was also revealed that he was suffering from a terminal illness at that time. Jensen is not only noted for being a Formula One champion he was also known to be the youngest driver from the UK sport which he did at the age of 20 in 2000. While there have been many notable UK Formula One drivers, one that stands out in the crowd and actually earned the title of being the greatest all-round racing driver was Stirling Moss. Although he never won a world title, he is still considered to be one of the greatest drivers to drive and race type of racing circuit.